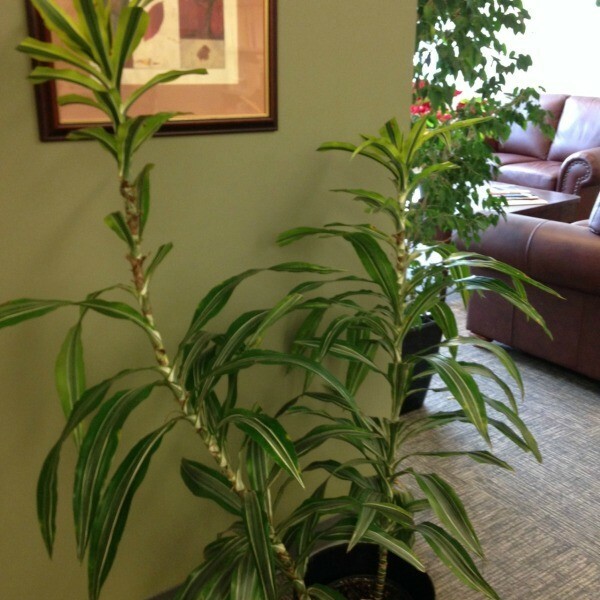 Can someone help me identify this houseplant? 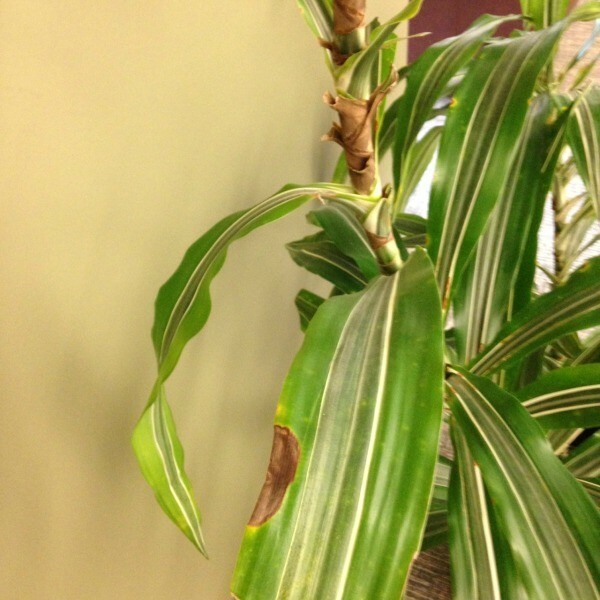 It is not doing well, it has dark brown dry patches on the leaves. I have tried watering it from the top, the bottom, not watering it and watering it a lot and nothing seems to help. You have a Dracaena, variety Lemon Lime. I keep mine a little on the dry side, but never let it get completely dry. That seem to work best for me. Anyway, now that you know the name, you can google for information about its care and culture. Good luck! Do keep its leaves clean. 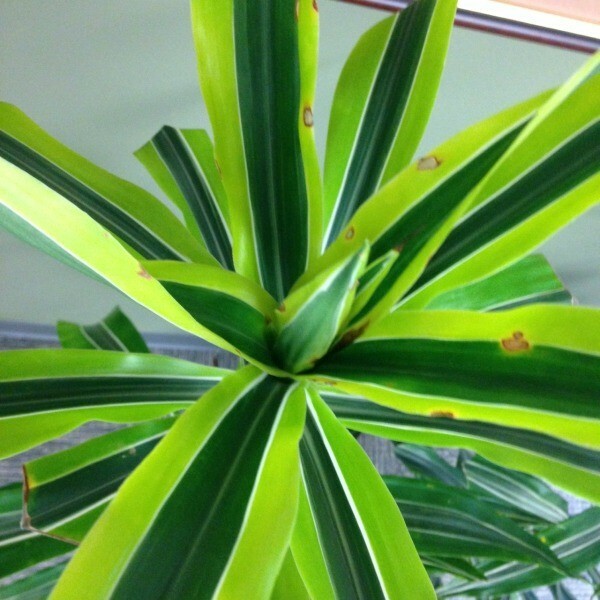 A water moistened paper towel to wipe the leaves at least once a week. Though it should not get direct sunlight, it should get more indirect light than shown in the picture.